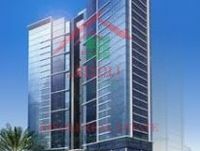 Many sorts of commercial properties for sale in Business Bay are available through Just Property website. The properties scatter throughout the massive community that lies in the heart of Dubai city near, Business Bay is described as an integrated city that lies within the city of Dubai, it bounds with a plenty of commercial properties displayed for sale and offering propitious investment opportunities for property hunters looking for profitable chances in the thriving city of Dubai. Commercial properties in the city vary between offices, retail spaces or shops, lands, buildings, and many other types. Business Bay project stands on an extension of Dubai Creek that has been dredged recently. The project was launched in 2003 and it comprises around 240 high-rise fancy towers that contain various types of residential and commercial properties. The vast community that sprawls over a total area of 5,900,000 square meters lies between Ras Al Khour and Sheikh Zayed Road. 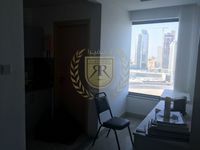 The unique mixture of properties that consists mainly from office spaces and apartments make Business Bay a perfect fit for both business owners and expats working in administrative jobs. 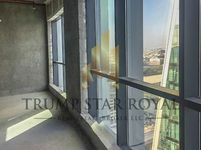 The project’s units are highly demanded between residents due to its pivotal location in the heart of Dubai as well as the abundance of facilities and amenities in it. It has a plethora of retail centers, parks, sports fields, restaurant clusters, cafes, walkways, and many other. The total population expected to inhabit in Business Bay is 190,000 people varying between working and living population. Moreover, the area has fancy hotels for significant globally-known brands and recreational venues. Work on constructing structures in Business Bay area was paused for a while due to the financial crisis which hit badly the real estate market in Dubai. The area’s bustling daily work progress went silent for a period of time as crane movement stopped and workers were denied from entering their construction zones. However, this didn’t last for long as work resumed and properties delivery started to take place in 2008. 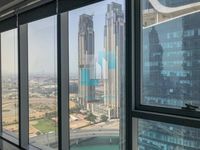 Today, the available commercial properties for sale in Business Bay are considered perfect options for starting a business in Dubai. Retail centers scattered around it receive hundreds of visitors everyday, also the office spaces are highly demanded thanks to their sophisticated style and their access to a set of necessary facilities. The Business Bay is connected to the Red Line of Dubai’s Metro. For car commuters, Business Bay is very easy to access either through Ras Al Khour Road or from Sheikh Zayed Road. The area lies in a close proximity to Dubai’s world famous hotspots like Burj Khalifa, Dubai Mall, Mall of the Emirates, and Ibn Batuta Mall. Just Property offers a huge set of options for properties available for sale in this district. The properties range in price, they also vary in respect of size, quality, and other specifications. It’s easy to start invest in Business Bay, just open our specialized list of properties, check the displayed ones, call the vendor to know more information, and that’s it.